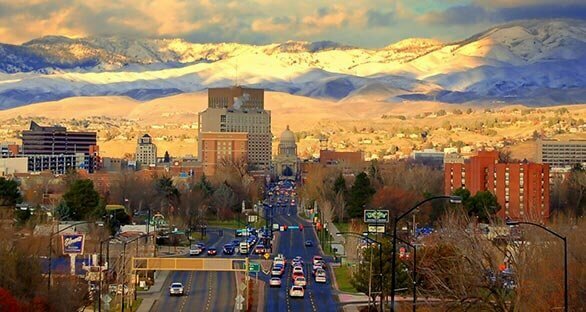 The Law Firm of Derek A. Pica, PLLC is a no-nonsense law practice that helps our friends and neighbors in Boise, Idaho make informed decisions when they become involved in legal matters. We understand it can feel invasive when you must involve the Idaho legal system in private family matters of any kind, be that a broken marital relationship, custody of your children, property ownership, or how to distribute an inheritance among heirs after your passing. At the law office of Derek Pica, we offer sound legal counsel in multiple areas, bringing families efficient and cost-effective resolutions to their dilemmas. In more than twenty years of practice, we’ve helped clients successfully negotiate settlements and counseled parents who were in mediation—simplifying the process for them and ultimately arriving at a beneficial agreement. While we always strive toward productive and amicable negotiations and mediations, we’re unafraid to see cases through to trial thanks to our years of experience in litigation. Our honesty and stellar reputation have allowed us to build this family law practice on a healthy amount of referrals, even acquiring clients from other attorneys. We offer free consultations to learn more about you and your situation. Derek looks into your options based on the information you provide. Derek presents strategies advantageous to your legal needs. Once you choose the best option for yourself, Derek puts your decisions in motion. We help you create the best course of action and see it through. You are our first priority. Our solutions strive to ease difficult situations. The largest percentage of our clientele hail from Idaho. However, we often work for out-of-state clients whose children reside in-state. We’ve also helped many Idahoans whose estranged husbands or wives wish to leave the state while the children are in their custody.